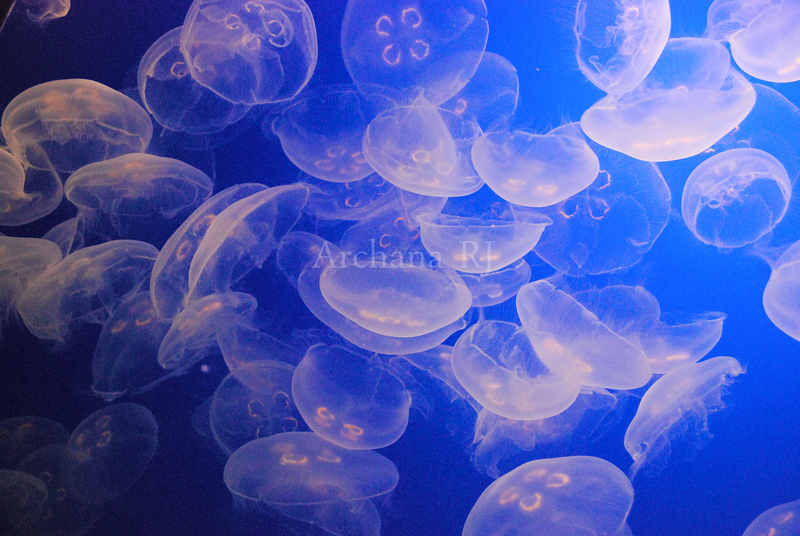 “The Jellies Experience” – My Favorite exhibit at Monterey Bay Aquarium. 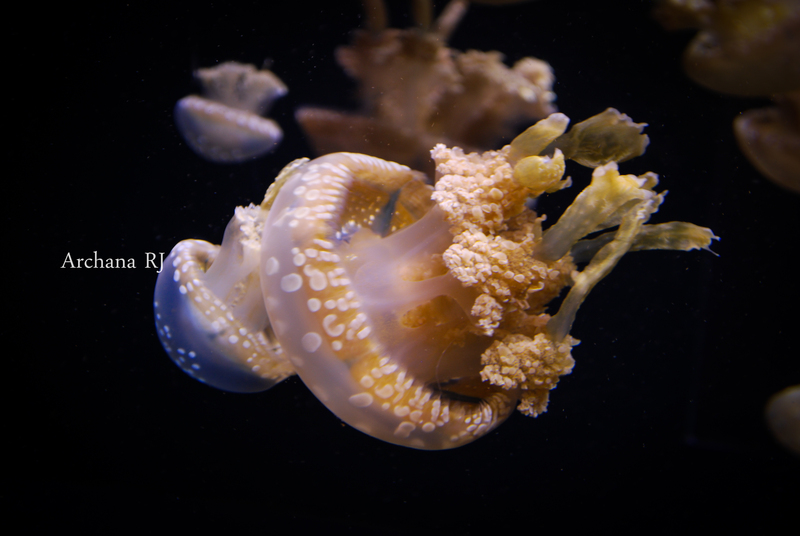 I find myself at peace watching these amazing creatures. 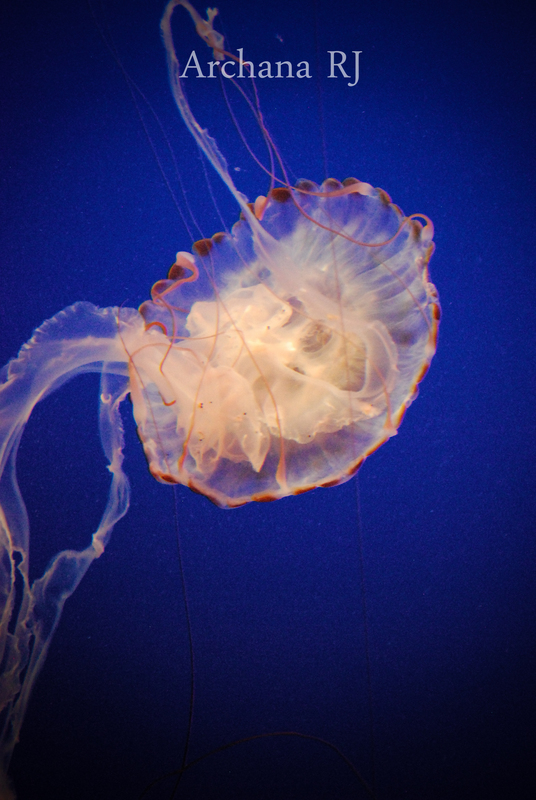 Whenever we visit Monterey Bay, we try to visit the aquarium. 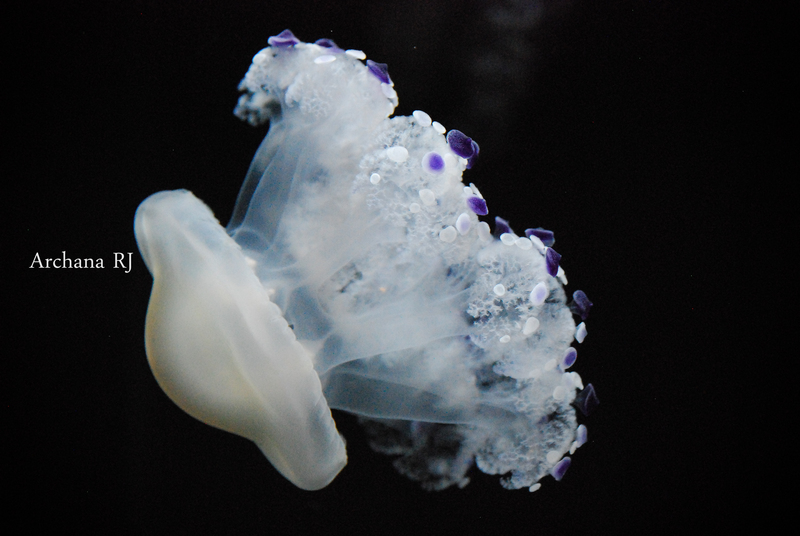 This year they added new exhibits, which I missed especially the flower hat jellies, Japanese Sea Nettles and few other upside down jellies. 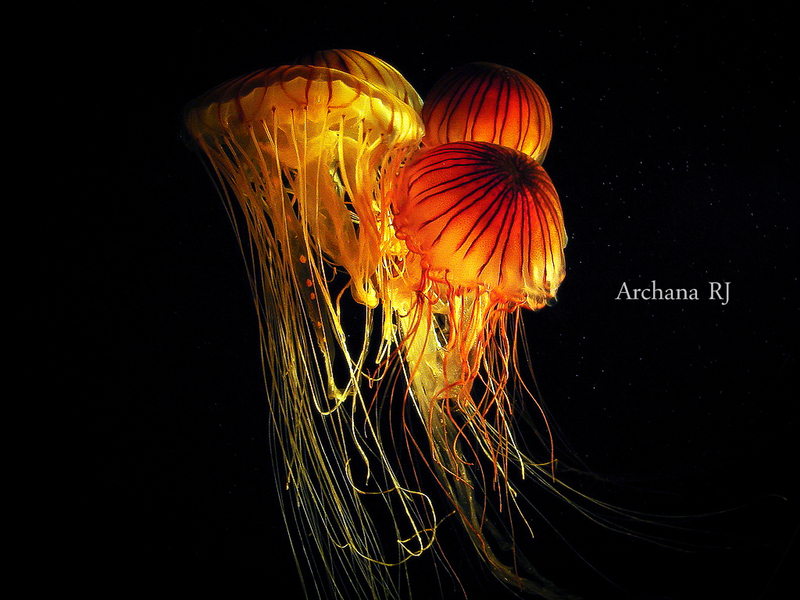 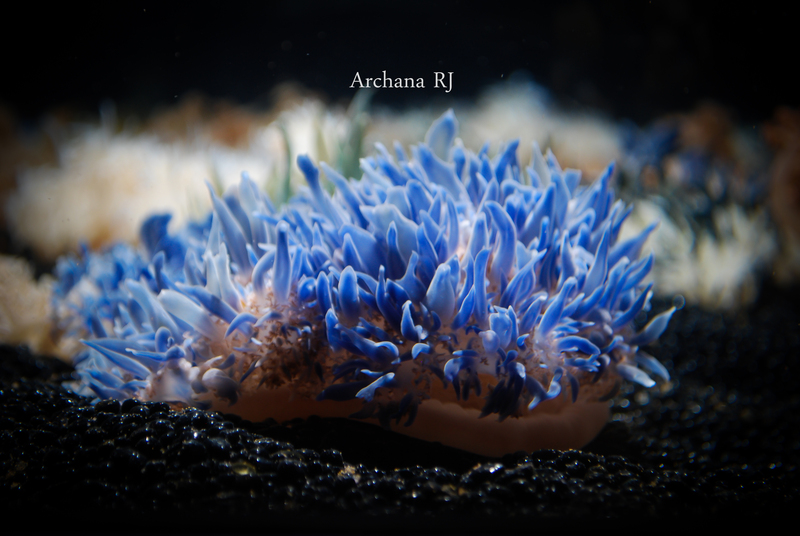 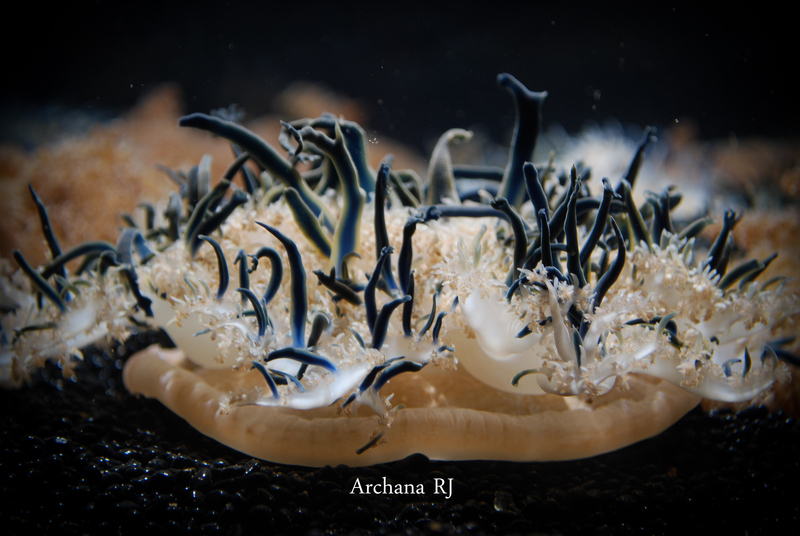 Below are some of the jellyfish pictures I enjoyed clicking them in the last couple of years. 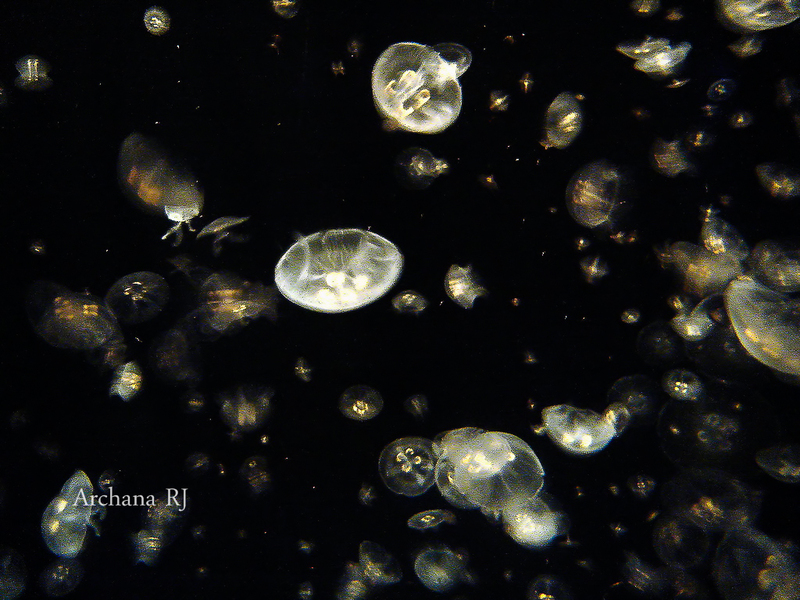 The first one, Joined Together and Galaxy of jellies, were taken with Sony Cybershot.